Inspired by romantic French impressionist oil paintings. The paintings were created on canvas with oil paints. 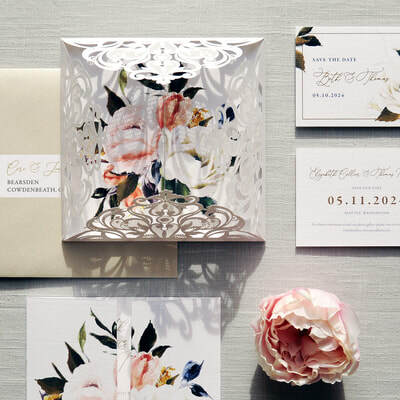 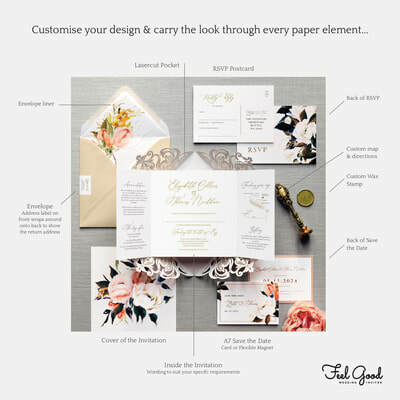 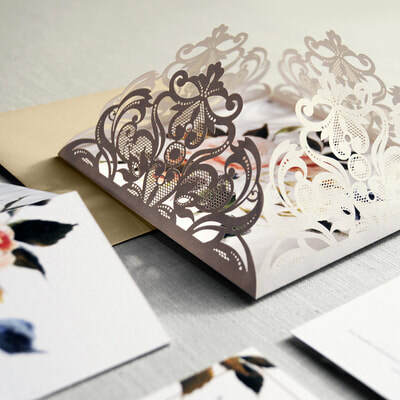 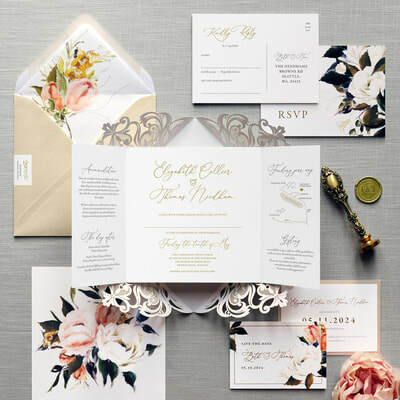 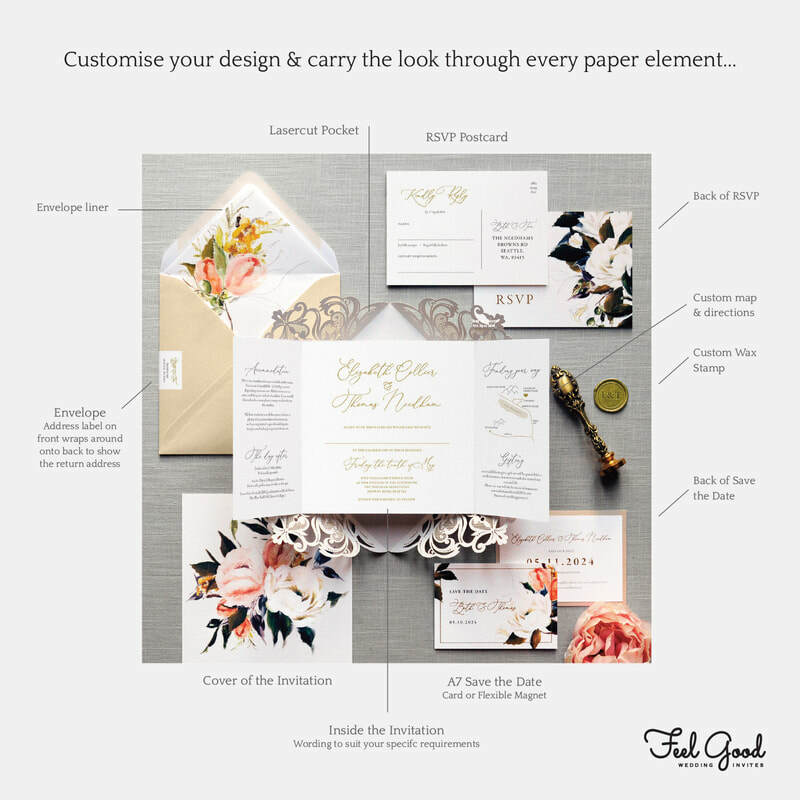 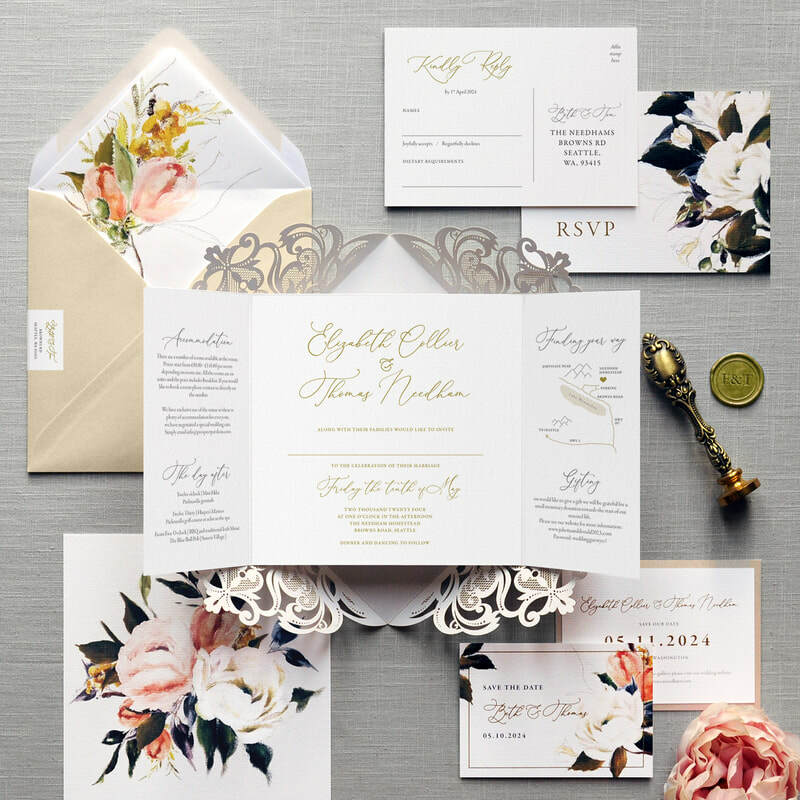 A luxury folding wedding invitation with beautiful laser cut pocket fold option - ideal for romantic, classical floral weddings. 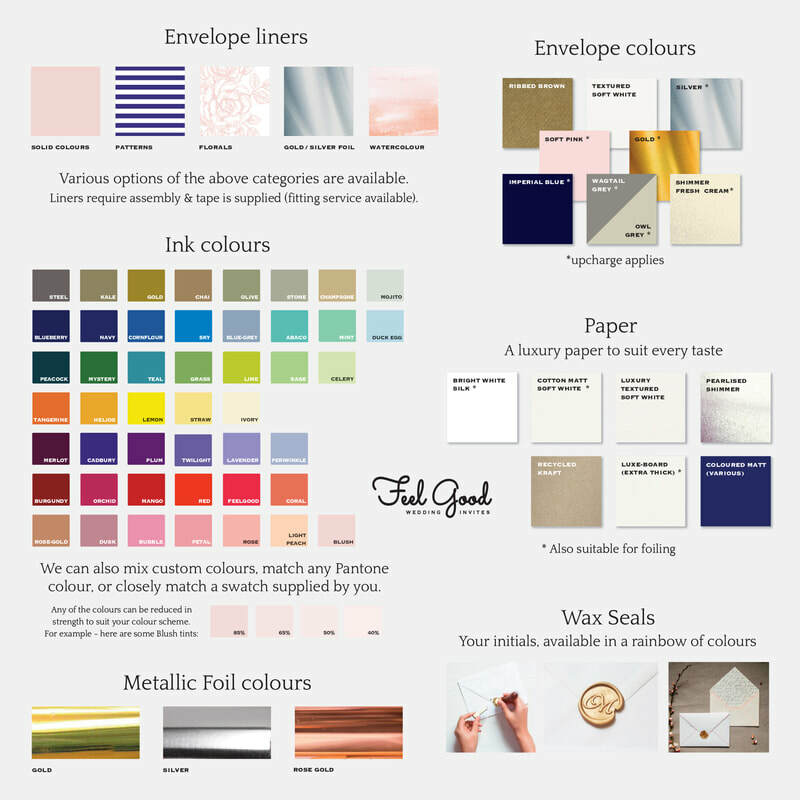 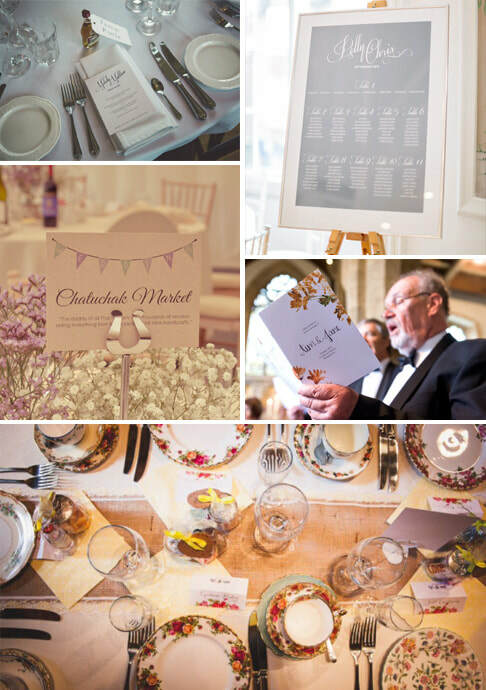 ​Words and flower colours can be coloured to suit your scheme. 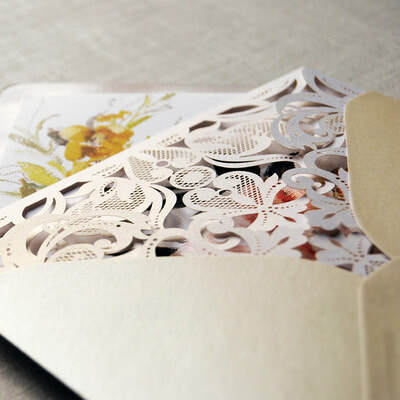 Optional laser cut pocket fold, envelope liners and wax seal.